The Community Foundation for Loudoun and Northern Fauquier Counties is now accepting applications for the Social Impact Institute’s 2019 Leading for Success program. A nonprofit’s chief executive is often the difference between growth and stagnation, between thriving and surviving organization. By participating in the year-long Leading For Success program with fellow top nonprofit executives, you will have the opportunity to join other nonprofit leaders in strengthening your leadership skills and knowledge in the context of capitalizing on a compelling opportunity for your organization. Combining individual coaching and group learning sessions every other month for one year, this unique learning experience offers an array of best practices and related tools with shared experiences from other leaders facing similar challenges. Experienced executive coach Leigh Shields will provide individual coaching and facilitate group learning sessions. Up to six nonprofit executives will be selected to participate, with the year-long program anticipated to begin in late spring 2019. Interested in learning more about the program before completing your application? Join the Community Foundation and Leigh Shields in this pre-application interest meeting, held on Thursday, April 11, 2019, 10:00-11:00 a.m., 3rd Floor Conference Room at HealthWorks for Northern Virginia (163 Fort Evans Road, NE, Leesburg, 20176). Attendance is optional, but encouraged. Email Nicole Acosta at nicole@communityfoundationlf.org if you plan to attend. 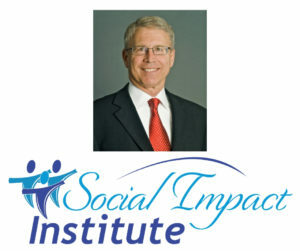 Program fee is $750 per participant for organizations that have not previously participated in Social Impact Institute programs; $650 for organizations who have participated in past Social Impact Institute programs (Leading for Success, Board Chair Roundtable, Executive Director’s Retreat, etc). Ideally, in your role as chief executive, you work closely with and gain counsel from your Board Chair. Therefore, there is great value in your Chair understanding the commitment you are making and affirming the opportunity that development offers for your organization. Your Board Chair can, also, help you gain the most value for your organization from this experience. If you do review and discuss your application with your Board Chair, please have her/him sign your application as acknowledgment of your participation in Leading For Success. Applicants who are not Executive Directors should request their CEO/Executive Director’s Signature. The 2019 Leading For Success program application may be downloaded below and can also be found here. Questions? Contact Nicole at nicole@communityfoundationlf.org or 703-779-3505, x3.